Johannes Vermeer is a fascinating painter whose life and works are explored here in amazing detail. 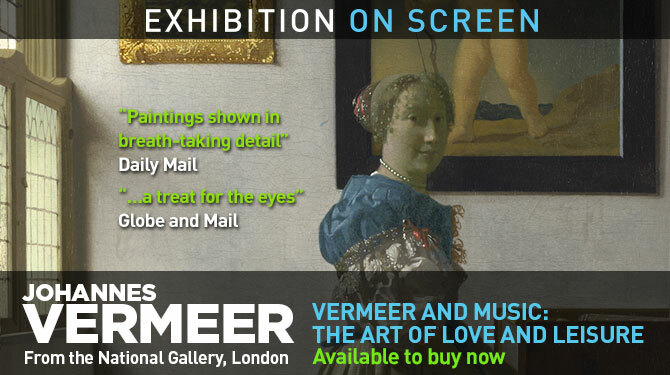 Filmed in London’s National Gallery, New York’s Met and other galleries in the USA and the Netherlands, this stunning film delves into a breath-taking collection of Vermeer’s finest pieces and delivers a detailed biography of the artist, his life and times. An exposition of period musical pursuits is blended with the art of Vermeer and his contemporaries. Live music from the Academy of Ancient Music serves as a beautiful soundtrack to the wonderful sight of Vermeer’s paintings. Tim Marlow, world-renowned art historian and broadcaster, guides us through the artwork and delivers a first-rate biography of Vermeer. He invites comments from leading fine art authorities and from Tracy Chevalier, whose best-selling novel, inspired by Vermeer, was made into the block buster movie, Girl with a Pearl Earring. The National Gallery’s exhibition has now closed and many pieces are too fragile ever to travel again but all this can still be enjoyed from the comfort of your home. ‘A treat for the eyes’ Globe and Mail, Canada. 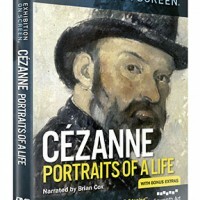 The DVD only contains subtitles in English, French, German, Spanish and Italian plus bonus excerpts and interviews. 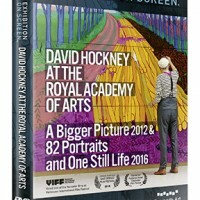 DVD Extras: 46 minutes of bonus extras including interviews with Phil Grabsky, Walter Liedtke and Arthur Wheelock. SUBTITLES:English, French, German, Spanish, Italian.